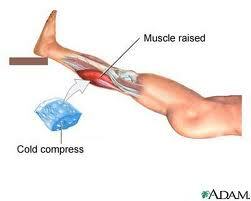 A strain is an overstretch injury to a muscle-tendon unit. They are the probably the most common type of acute injury either within a sporting setting or in everyday life. Muscles are bundles of contractile tissue that move the bones as levers across a joint enabling us to move. They are attached to the bones at their ends by tendons. Tendons are very strong, non-contractile and relatively in-elastic parallel bundles of collagen fibres (they can accommodate up to 5% of stretch) that transmit the contractile force of the muscles to the bones to produce and control movement. Their fibres seamlessly attach to the outside of the bone called the periosteum with the slight 5% elasticity enabling them to absorb the shocks from sudden forced contraction. Together the muscles and tendons form musculotendinous units. 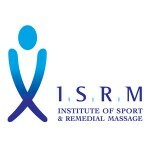 A strain will occur anywhere along the musculotendinous unit that is the weakest link at the time of injury. 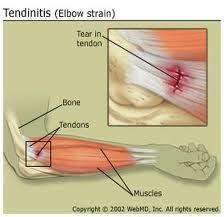 The tendons do not have a large blood supply unlike the muscles so repair to them takes longer. This coupled with the fact that they gradually loose their elasticity by degenerative changes after the age of about 35 means that it is the tendons that will be strained at the musculotendinous junction or in the middle of the tendon itself due to chronic muscle overuse. In young people the muscles and tendons are stronger than the bones due to the bones not having finished their ossification and so they can pull the bone’s periosteum away, called an avulsion strain, or actually fracture the bone. A Hamstrings strain, one of the most common strained muscle groups showing a common strain site, the muscle/tendon border. 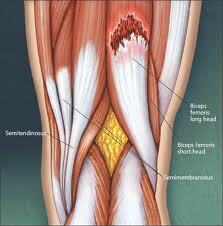 Strains can also occur due to the type of muscle contraction. In a Concentric muscle contraction the two boney attachments (called the Origin and Insertion) come closer together as the muscle fibres shorten. However during an Eccentric muscle contraction the origin and insertion move away from each other and the muscle fibres lengthen but the muscle fibres are still contracting. This creates much greater forces in the muscle than concentric contraction and predisposes the muscle to injury at this point. Eccentric contractions enable us to control our movements better especially when we are moving quickly. Each time, just before and after, our heel strikes the floor as we are walking or running the Hamstrings (the muscles running down the back of your thigh) contract eccentrically in order to decelerate and control our leg. As we all know from football players with their constant changing direction and explosive running make the Hamstrings one of the muscle groups most prone to strains. Strains can occur from single explosive muscles contractions either concentric or eccentric, from accidents such as slips or falls, from sporting collisions or slips etc. Anything that suddenly over stretches the muscles or takes the tendons past their 5% elasticity range will cause a strain. That is why a good warm up is required before any sport to ready the muscles and tendons for action by making sure the blood flow to them is as good as possible before any large force is put through them. Oblique forces/impacts or forces applied whilst the muscle is already maximally contracted (usually occurring during sport) are also common causes of strains. External forces, normally from accidents or contact sports that force the muscle/tendon into extension can also cause strains. Once a strain has occurred the torn or damaged tissue fibres cause bleeding and swelling along with pain, dysfunction, heat and redness. If this occurs you should be seen by a qualified therapist as soon as possible. If however, as is often the case, there is no therapist on hand you should follow the RICE procedure (Rest, Ice, Compression and Elevation) for the first 24-48 hours after the injury or until you get to a therapist/medical professional. Rest is vitally important at the initial stages to prevent the damaged fibres from tearing or bleeding even more and to help the fibres to begin to knit together again as quickly as possible. Also icing is very important to help reduce inflammation from the bleeding and control the pain by numbing the pain receptors and inhibiting the sensory nerves signals to the brain by reducing their conductivity. Be careful not to over-ice and potentially freezing the tissue. If it is a small area like the wrist ice in 5 minutes on/ 5 minutes off segments but if it is a large area like the thigh 15-20 minute cycles maybe required. To aid with this judgement look at the colour of the skin when you remove the ice, it should not look red but should be pale. If it is red the ice was on for too long and reduce your time cycles. Also if possible use real ice, as it is more efficient than sprays or gels at taking energy away from the injury site, so cooling it more quickly, as it takes a lot of energy to melt ice. The image above shows a cold compress but you can use a bag of ice with compression bandages/strapping for the compression part of RICE. Grade 1, Mild or First Degree Strain. Here the stretch to the musculotendinous unit is minor with minimal strength loss. The person can continue activity with minor discomfort. Grade 2, Moderate or Second Degree Strain. There is tearing of the musculotendinous fibres, which is quite variable from several to the majority of the fibres. The person may hear a snapping sound or feel a snapping sensation at the time of injury with a palpable gap appearing at the injury site. Pain and muscle weakness will make it difficult for the person to continue activity. Grade 3, Severe or Third Degree Strain. There is a complete rupture of the musculotendinous unit or an avulsion strain where the tendons boney attachments are torn off while the unit is intact. There is a snapping sensation and sound with a palpable/visible gap at the injury site. Often the muscle will bunch up and the person will not be able to continue with activity due to pain and extreme muscle weakness. With grade 3 strains you must go to a medical professional as soon as possible with surgical repair often being required. With grade 2 strains where there is significant loss of strength, function or there is a gap in the tissue also go tot a medical professional as soon as possible. 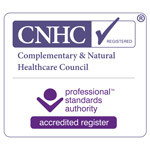 Other grade 2 or grade 1 strains should also be seen as quickly as possible by a therapist (Sports massage/ Physiotherapist etc) and will profit from early intervention to aid rehabilitation and help prevent any adverse adaptations from forming elsewhere in the body due to the injury. The key to preventing strains is a good thorough warm up and warm down regime, including stretching before exercise or sport. Also sensible regular exercise as we get older will help to delay age degeneration of the tendons so making them less prone to strains.